There are two types of colors you can set on an InDesign layout which create different effects when the layout is exported as a mag+ Vertical. Background Color: The Background Color is the color of the B- Layer where no objects are placed. When displayed in your app, it appears as the background color behind your content. Knockback Color: The Knockback Color is a background color applied to the A- layer. 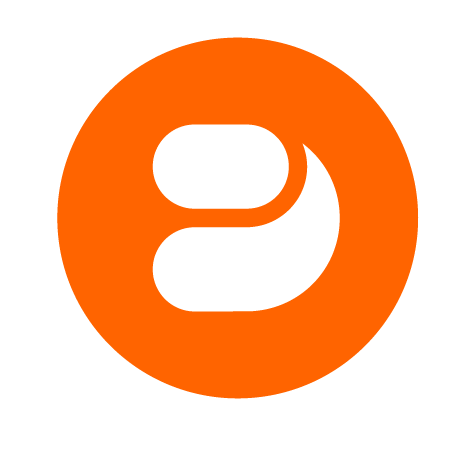 As the user swipes to bring the A- layer content into view, the background of that layer gradually fades from 0 (completely transparent) to an opacity that you specify. Note: Available Background and Knockback colors are drawn from the list of Swatches available in the InDesign document. To make new colors available, create a new Swatch in InDesign. 1. 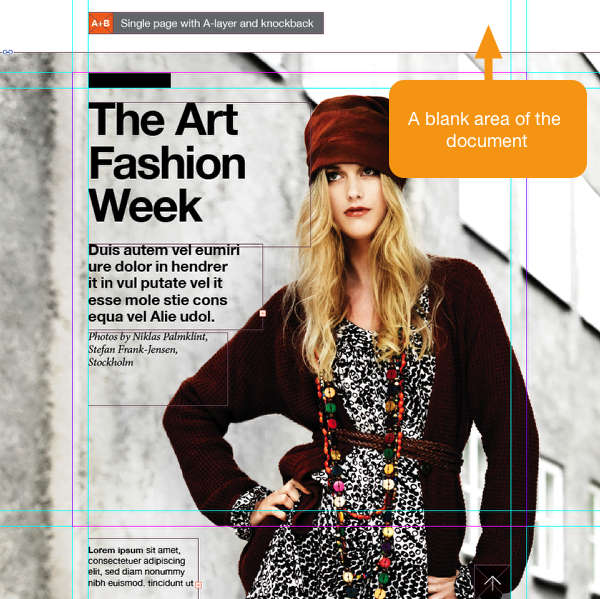 Open an existing InDesign layout with part of the blank page visible. 2. 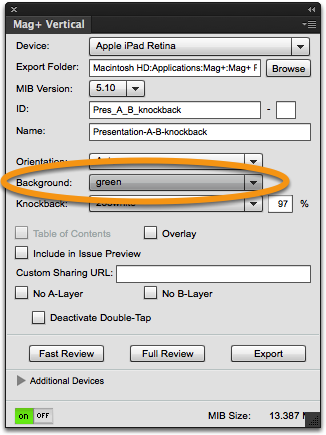 In the mag+ Vertical panel, change the Background popup menu to "green". Note: You will not see the background color change until you perform a Review or Export the layout into a Vertical. 3. Save your document and preview it on a Review device. The background of the Vertical will now show the color you specified. 1. 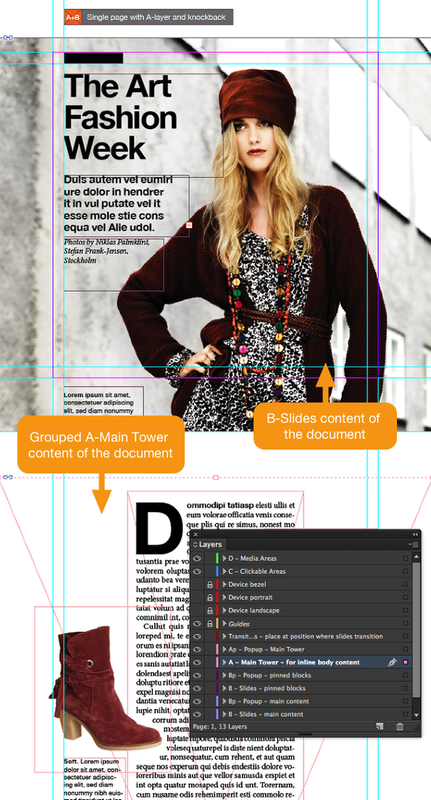 Open an existing InDesign layout that contains content on the A-Main Tower and B-Slides-Main Content layers. 2. 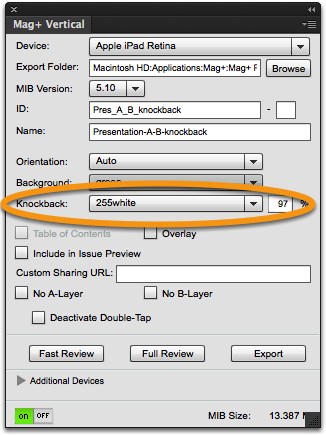 In the mag+ Vertical panel, set the Knockback pop-up menu to "255white" and enter "97" in the Opacity field. As you swipe the A- layer content into view, its background will fade to white, obscuring the B- layer content underneath.